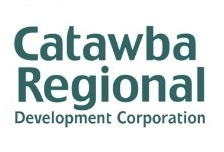 Catawba Regional Council of Governments (CRCOG) assisted Pure Gold, Inc. with a Revolving Loan Fund (RLF) loan for two CNC machines when demand for its shotgun chokes outgrew the capacity of its existing machines. Partnering with CRCOG on this project was Park Sterling Bank. Pure Gold’s sister company, Quick Tech Manufacturing, is an existing RLF customer owned by Bill and Cindy Davis. Pure Gold, Inc. offers shotgun chokes for three models (12, 20 and 28 gauge) including buckshot and competitive card requirements for sporting clays, turkey hunting, and waterfowl. The company also has a growing apparel division. Three jobs will be created as a result of this project.